This weekend’s witterings concern small matters, thievery, black boxes, de-dieselling, damaged goods, sliced leg, drop-topping, broken plates and not getting what you want. There aren't any small hybrids that could honestly be described as "fun" to drive from a performance point of view. Honda discontinued the CR-Z: /road-tests/honda/honda-cr-z-2010-road-test / Probably closest is a Toyota C-HR: /road-tests/toyota/toyota-c-hr-2016-road-test /, but it's hardly a small car. You could take the mild hybrid route with a Suzuki Swift 1.0T Boosterjet (tested here as an auto when it is not a 'mild hybrid', but the mild hybrid manual works well): /road-tests/suzuki/suzuki-swift-10-boosterjet-automatic-2017-road-test / There are a number of new quick small hatchbacks on the way such as the new Fiesta 1.5ST, arriving next summer. Smaller, the new KIA Picanto 1.0 is a lot of fun: /road-tests/kia/kia-picanto-2017-road-test/ and it comes with a 7-year warranty. The VW Up, SEAT Mii and Skoda Citigo are also fun to drive. I have recently had the spare wheel stolen from my new Discovery series 5 HSE (just 4 months old), I thought I would forward you the response received from Land Rover. “Thank you for your email and please accept my apologies for the delay in responding. I was also very shocked to read of the apparent theft of your spare wheel, I can imagine your distress and annoyance and I was very sorry to learn of it. Unfortunately, it is an unpleasant aspect of modern life that thefts of this sort occur. I could, of course, advise you that you make sure that your vehicle is securely parked and add all the other common sense provisos. I am sorry to say though, that however security conscious we are, some determined people will continue with these activities. I hope you might agree that despite some individuals being prepared to carry out an illegal and potentially dangerous exercise for gain, that this does not constitute a design flaw. I do sympathise with your exasperation and I regret the inconvenience you have been put to. Vehicle security is an aspect we take extremely seriously and is constantly reviewed. I will also make sure our Engineering Department are aware of the incident, so that they are at least mindful of any emerging trends. In the meantime, thank you for taking the time and trouble to write to us. I apologise for not being able to be of more direct assistance, but appreciate you taking the time and trouble to contact us.” It appears to ne this must be a design fault. A look at the Disco5 forum suggests that there are a significant number of owners who have suffered the same fate. It seems pointless to spend £800 plus on a new alloy wheel only for it to be stolen again. Should I push Land Rover to come up with a solution or am I wasting my time? Any suggested secure solutions to the problem gratefully received. A disappointed Land Rover Discovery owner. Insurance for an 18 year old is prohibitive so I’m sticking to cars of group 3 or lower. My choices are: Fiesta 1.25 Studio - struggling to find one close by. Any of the VAG babies - UP/Citigo/Mii - not sure about safety and depreciation. Skoda Fabia 1.2 - are there issues with the 3-cylinder engine? VW Fox 1.2 – older, but same as Fabia - possible issues with the engine? So in your Honest opinion what would you do? Budget as little as possible: Bank of Mum & Dad, but up to £6k for the right car that will last. The old Fabia 1.2 and Fox share the same chain cam, non-turbo 3 cylinder engine. Nothing special about it or about the cars. A Fiesta is probably your best bet. The basic Up, Mii and Citigo are more fun to drive, though with an insurance Telematics black box fitted to the car, 'fun' isn't allowed. We are late 70s, retired, and have a 2008 Honda CR-V SE Model 2.2iCTDI, which we bought second-hand about 4 years ago on your recommendation. It has been (and still is) an excellent quality, very comfortable vehicle that has only 61,000 on the clock. We have stopped towing a caravan and, following the diesel ‘bad press’ are wondering whether to stick or change? We really value the high stance giving comfort and excellent visibility. I also like to have a reasonable bit of metal around me: mid-size rather than small vehicle. If we changed, we would add about £12k to the CR-V value. We are under no pressure (although the CR-V is not used for towing now it is comfortable and running costs for only 7kpa are no problem.) We can hang to see what evolves in the market: petrol or hybrid? Or change? Ideas will be appreciated. The 2.2iCTDI doesn’t have a DPF to worry about, so I'd hang on and see what comes in the next generation of petrol hybrids. So far, the KIA Niro and Toyota C-HR are possibilities. I can't see you being too happy going from a CR-V to a Yaris hybrid. The cheaper options are the new Chinese MG ZS and the Ssangyong Tivoli, both of which come with long 7 year warranties, and the Dacia Duster that has just been revamped. The Duster 1.2TCe 125 Laureate is actually quite good, not to be sniffed at. Pity you can’t get the Honda HR-V hybrid in the UK. That would have suited you perfectly. We are coming to you in the hope that you may be of assistance to us in our problems with Skoda Financial. Ms Jessica Gorst-Williams of The Daily Telegraph has suggested we get in touch with you. In brief, our complaint centres on the fact that Skoda invoiced us, out of the blue, a month after the return of our lease vehicle with refurbishment and excess mileage charges. They refuse to engage with us on the problem despite the fact that they failed to follow the laid down procedures, nor did they, at any time, communicate the hand-back process to us. Plus, and it seems to us, most importantly, they have no evidence to link the damaged vehicle to our car. VW, via BVRLA, now seems to be saying that two inspections were carried out and we were given the option after the first to 'rectify the damage'. This is totally untrue. We were given no information of any sort about the inspection of the vehicle. As far as we were concerned we handed over to the dealer on 24th June. This was acceptable to all parties, we were told, and our liability ended there. We very much hope you can offer some help with all this. I bought a Volkswagen Polo in May 2017. Unfortunately, I have cut my leg twice on the lower front door and this has necessitated medical treatment. I asked the garage if it can be modified with padding or did they have an alternative idea? The garage informed me they have contacted Head Office and they have never had this complaint before and they are unable to help Can you help me? Can the door be modified, and is this a fault with this car? I guess you must mean the lower corner of the door, but I can't see how the Polo is significantly different from other cars in this respect. It might help to buy plastic door protector strips that can be fixed to the outer rear seam of the door and will afford protection from sharp edges. I am thinking of replacing my 2009 MINI Cooper S Clubman auto with 70k on the clock with a 2010 Ford Focus 2.0 CC3 Convertible auto, with 56k price at £4,970. Is this a good option? Is the Focus CC a good car? I had a trouble free ride with my Clubman, hence why I am asking about the Focus. 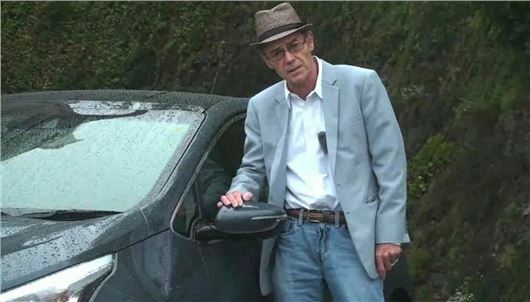 The Focus CC had early trouble with its roof seals, which were, ironically, compounded by the roof being blown off the Pininfarina factory where it is made by a hurricane. So, very important to check that there is no damp inside the car from failed roof seals. Otherwise, assuming this is the 2.0 litre petrol engine, that is chain cam and reliable and fitted with a 4-speed torque converter automatic transmission. I will need to replace my car number-plates prior to taking it for an MoT. The front is cracked and rear delaminating. Can you recommend a supplier and how much should I expect to pay? After a trouble-free 150-mile journey I decided to top up with diesel at an Esso fuel station off the A22. Within a few miles, my van was not running very well, although I did manage to limp home. The injector light kept flashing and the van tried to stall. I looked at my receipt from the garage to confirm that I had bought diesel, then assumed it must be some other problem. My mechanic said it sounds like a wrong fuel problem. This we verified when we siphonned the tank. I had 1/2 a tank of petrol. After putting fresh Diesel in the van it refused to run. I called the fuel station and they were rude and said this was impossible to happen. I “couldn't have bought 32 litre of petrol from the diesel pump" as "It would be a serious Health and Safety Issue We would have to close the whole forecourt down." As a matter of fact, half of it was closed, roped off, when I bought the fuel. When I challenged them regarding this, they said it was a "pay at the pump problem." They refused to give me the phone number of Esso complaints, saying they would report it and get back to me. In the meantime, I Googled Esso Complaints, found the number and complained. They seemed more sympathetic, but I am still waiting for their response to an email I sent including a copy of the receipt. The AA was brilliant even though I don't have Home Start. The mechanic was unable to start the van and arranged to have it transported to a diesel specialist in Newbury. Now I am waiting to find out what damage has been done. I have been without the use of my van for a week now through no fault of my own. I hope Esso can be convinced to own up to their mistake and pay for the repairs. It is something which should certainly be brought to light as it is such a Health and Safety issue. The main reason for me writing to you is to bring to a wider audience the possibility of such a thing happening to them. If, after refuelling, your vehicle starts to run badly bear in mind my lesson. Your beef is probably not with Esso. It's with the franchisees at that particular filling station, even though it will have been an Esso tanker that put the wrong fuel in the underground tanks. The chances are, there is still evidence of that, and other drivers will have been affected so worth making local enquiries with the local police. If your fuel pump and injectors have been damaged by the miss-fill then you need to notify the service station in writing by Post office Special Delivery that you will be using https://www.gov.uk/make-court-claim-for-money / to sue for the costs of repair and your costs in providing a substitute vehicle for your business during the repair. I think you probably have enough proof in the form of the receipt that clearly states ‘diesel’ and that wasn’t what you got. I’ve been hankering after a Land Rover Defender type of rural runabout, but, of course, the actual Defender is priced out in the stratosphere these days. What do you think of the notion of a Skoda Yeti as a kind of modern take on the Defender? I think they look rather good in ‘jungle green metallic’. But there is a bewildering range of Yetis out there, as you will know. Which to go for? I don’t drive off road (except down a track to the local riding stables). I don’t drive long distances. I prefer petrol to diesel and manual to automatic. I like a leather interior (but that seems to go with low-profile tyres, which I’m not keen on, if you choose the Elegance version of the Yeti). Finally, is it worth spending seriously to get a really good Yeti – and is this a favourable time of year to buy? I will look forward with keen interest to your comments. 3 years ago you gave us great advice when we were looking for a small automatic car for my 84-year old mother. She went for the Hyundai i10 automatic and it was great until she was a 'cash for crash victim' that broke her breast bone and a bone in her back, and her (less than 12 months old) car was written off. Her replacement car gave her good service until almost a year later she had a stroke. Although she suffered no paralysis she has aphasia (speech problems) and now, aged 87, will probably not drive again. So her Hyundai i10 Premium automatic, registered 1 September 2015, needs to be re-homed. It's done 5,200 miles and has a full service history. What's the best way to get her the most back from selling it? The quickest way is to get a price from wewantanycar.com or webuyanycar.com or Evans Halshaw. You could trawl it round some dealers or advertise it for private sale, but that involves a lot of hassle and risk. Last week I took my 1.6 litre petrol BMW 3-Series Touring into my local dealer for a pre-warranty expiry check. Following your oft repeated advice that oil and filter should be changed at least every 12 month, or 10k miles, I asked for an oil change. They said it didn't need it for another year since it had had one 12 months ago. I then mentioned your piece from 25/11/17, which said that BMW had now woken up to the potential issues of long intervals between oil changes and was revising their oil change policy. The dealer said they didn't know anything about this. I'd be interested in your comments. Some dealers have the common sense to admit it. Some employ thickos in their service department to deny it. Fact is, every engine needs an oil and filter change at least every year or every 10,000 miles. We run a Honda Jazz 1.5iVTEC 5-speed torque converter automatic in Thailand. This is a model you could get in South Africa, that was even made in Swindon, but you couldn't get it in Europe. It's by far the best Jazz. And whenever I'm in Thailand I take it for a lube job. The 'office' at the lube centre is plastered with stickers taken off vehicles showing kilometres at the previous and next recommended lube job. The recommended change, even with 'fully synthetic' is 8,000 kilometres (5,000 miles). Some of those stickers were for vehicles that had done more than 500,000 kilometres. A 'fully synthetic' oil change including fresh filter cost me £50. In the UK, BMW tries to avoid changing oil until 20,000 miles, and charges up to £290 to do it. That's why engines fail prematurely in the UK. We've been running a 2013 Fiesta 1.6 Powershift for about 2 years now. Compared with torque converter automatics I remember I was very impressed with the responsiveness and high mph/1000 rpm during a brief test drive and so the deal was done. Since then I've seen a lot of adverse criticism of this transmission but, so far, all seems well with ours. I did take it into the local Ford dealer for an up date to the software, but if there was any difference it certainly wasn't noticeable. Do you have any idea of the percentage of owners having had problems? Maybe it is largely a US thing? I saw on YouTube that Ford of America is having to offer some sort of compensation. Nonetheless we're very pleased with our Fiesta: a world away from the Mark 1 version I had an eon ago. The percentage is probably quite small. Probably less than 10%. But the problems is so serious it has been acknowledged by Ford, that has quietly switched the new Fiesta over to a 6-speed torque converter auto instead of the Getrag dry clutch Powershift. When my car died after filling up, water was found to be contaminating the petrol. I reported this to Trading Standards who visited the filling station and confirmed water contamination. Filling station no longer had a leg to stand on after initially denying any problem. Some of the car buying websites are notorious for quoting a buy price and then finding "faults" on inspection and knocking the price down. Evans Halshaw's business model misses out the auction step and I found they offered a more competitive price when looking at trade in alternatives but putting the car straight into auction directly or selling to a long established independent dealer specialising in good used cars would probably be best. and buy something different. Vag cars both of them. Suggest the lady with i10 Premium automatic with only 5200 miles contacts her local Hyundai dealer and ask their advice. My wife is now on her third i10 Premium auto and each time we have wanted to update dealer paid very very good money for the part exchange. The dealers probably have people waiting for such examples and would be able to place the car straight away. It should be easy, just be careful, to check if the lower edge of the door is sharp, it sounds like the outer door skin is not properly fitted. As it an alternative, look for a car with plastic mouldings over the lower part of the doors.